Precio $6250.00 dlrs. Oprime la image para ampliar. 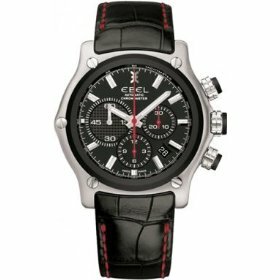 Chronograph in stainless steel, 42mm case, automatic movement, with date indicator. Availabel on alligator leather strap with red stitching.